Do you need to incorporate EDI in your company's eCommerce when you've been using 3dcart? You probably have either a supplier or a customer insisting upon EDI transactions. Amosoft can help to seamlessly integrate 3dcart and EDI, so look no further to solve your problem. We provide an easy, straightforward, and affordable 3dcart EDI solution. Say you sell widgets made by Company XYZ. Then Company XYZ says to you one day, "We only want you to send and receive EDI transactions with us from now on." Company XYZ seems to make it increasingly complicated by having all manner of rules for these EDI transactions. They need line-item information and customer address for drop shipping, so on and so forth. Don't worry, Amosoft's 3dcart EDI solution will take care of it. 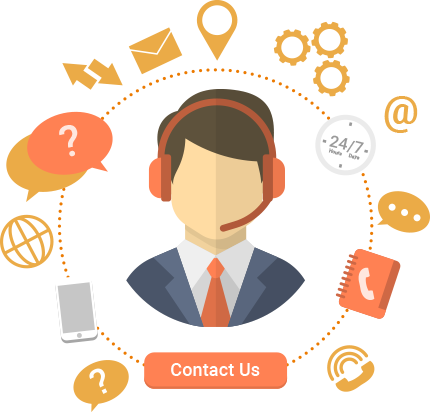 Our solution will automatically collect your orders from 3dcart, and send a daily (or even hourly or just one at a time) 850 purchase order to your supplier. The report will include everything Company XYZ requires, whether it's size, colour, sku#, amount, or anything else. It really doesn't get any easier nor more intuitive. But our capabilities with 3dcart and EDI don't end there. If Company XYZ wants to send you inventory information (an 846) through EDI, our solution also takes care of that. It can receive the inventory information and then upload it directly to 3dcart in real time. This way, if you run out of a product, customers visiting your website are made instantly aware and won't be able to order it. We can take it one step further. We can update 3dcart from your own internal inventory spreadsheets on your proprietary system as well. What if Company XYZ wants invoices through EDI? Amosoft has you covered. QuickBooks, Excel and similar financing programs can also be integrated into our solution. There are absolutely no legacy-system limitations. 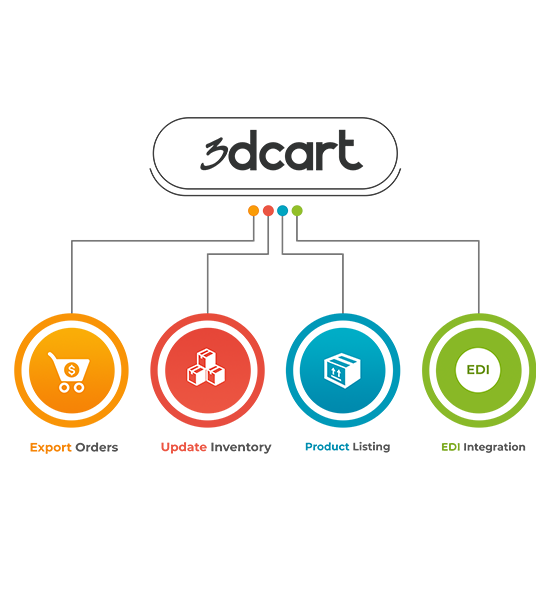 Do you need to incorporate EDI in your company's eCommerce when you've been using 3dcart? You probably have either a supplier or a customer insisting upon EDI transactions. Amosoft can help to seamlessly integrate 3dcart and EDI, so look no further to solve your problem. We provide an easy, straightforward, and affordable 3dcart EDI solution. 3dcart is great. 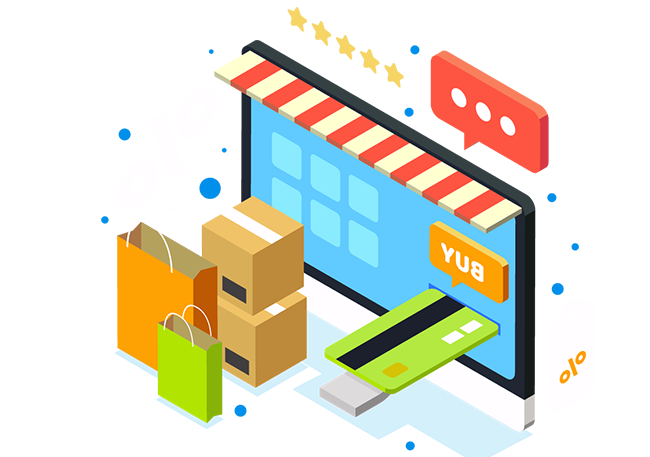 It is definitely one of the best ecommerce platforms out there. It has a shortcoming though - it simply does not work well with EDI. A typical EDI transaction is either an 846 for inventory, 850 for a purchase order, 810 for an invoice, or an 856 for an advanced ship note (ASN). Amosoft can take care of all of these plus any other EDI transaction you might require. We can elegantly integrate it into your existing 3dcart platform, as well as any other ERP system or software you're using. Amosoft is your complete, one-stop solution to get started with EDI. There are no EDI transactions we can't handle, and we can even work with you if you're using a platform other than 3dcart. Contact us here to learn more.